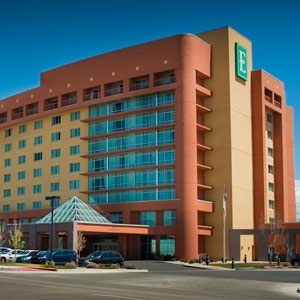 The Embassy Suites hotel chain features hotel bedding made by DOWNLITE and sold online through their own guest resale website. Please note when visiting their guest resale site they use our Medium density EnviroLoft hotel style pillow. Although this hotel uses a set menu of items in each room, it is impossible to guarantee that the products you enjoyed while staying at the property are the same (but we are sure you will love them).